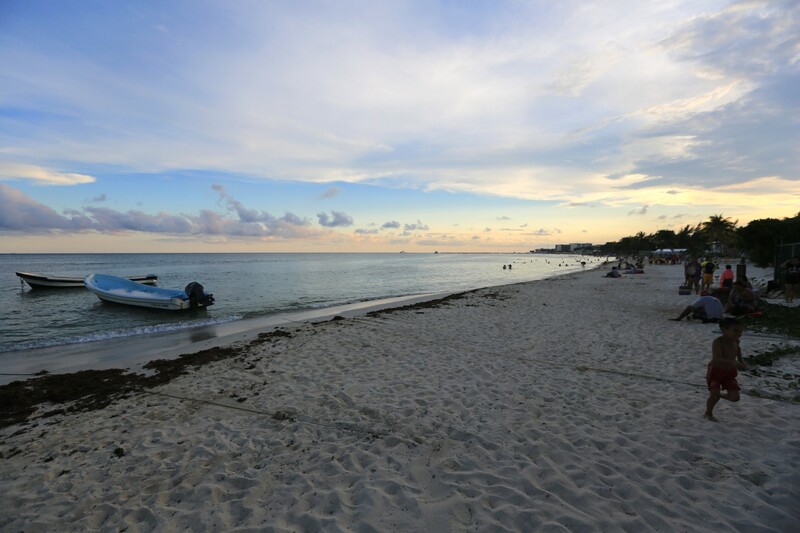 Entry Level World Travel – Playa Del Carmen, Mexico. 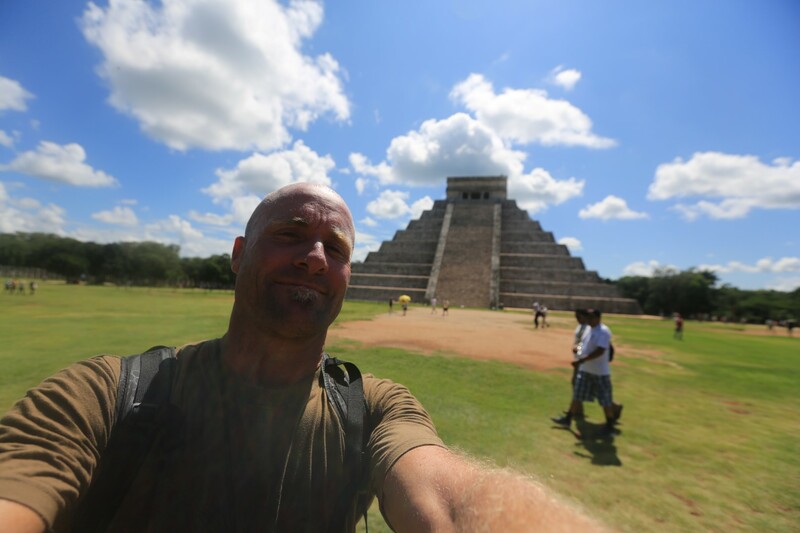 I’m back on the international road and once again back in Mexico with a destination idea for people who would love to do something safe yet foreign. Picture swimming in crystal clear, aqua blue fresh water in an underground cave with tree roots climbing down from the ceiling. Picture strolling around an ancient Mayan city in awe of how these gigantic stone buildings were erected so perfectly a thousand years ago. How did the Mayans do this? Picture yourself on that perfect white sand beach with that perfect Caribbean Sea water a few yards away. Picture yourself strolling along a pedestrian avenue several miles long with restaurants of every flavor, boutique hotels, veranda covered bars that range from looking like hip Vegas designs to hole in the wall joints with everywhere in between. Now picture yourself spending a fraction of the cost of a beach vacation in the United States to experience all of this while feeling absolutely safe while doing all of this and more than likely spending the same amount of time travelling to get there. Does this sound like an amazing vacation to you? If your answer is “Yes” then get ready to plan your vacation in Playa Del Carmen! Playa Del Carmen is a small city or a large town on the South-Eastern edge of Mexico. It’s about 45 minutes south of Cancun but whereas Cancun is basically a place of high-rise, all inclusive resorts which may as well be in Florida or on any other white sand beach (and for sure I know that some people love that but in Cancun you get about as much authentic Mexican as you do at a Del Taco …..) Playa Del Carmen on the other hand – while it is primarily a tourist town – at least feels and acts like something of a cultural visit to another country. I think a lot of people might say that it’s similary not an “authentic” Mexican destination but I would counter with the idea that although this is largely true, it’s also a pretty unique mish mash of some amazing reasons to go. First of all everyone speaks English here and when I say they speak English it’s not broken, passable English – it’s fully fluent English. Although I love speaking Spanish here in Playa Del Carmen unless you are fluent no one will even bother speaking to you in Spanish. You would be hard pressed to be in a situation where you can ask questions without a word of Spanish and get a complete and coherent and generally correct answer. Next reason to go is that Playa Del Carmen is 100% safe. There is absolutely zero tourist oriented crime and this is a statistic. You will feel comfortable walking around 24 hours a day. I honestly felt less safe walking through a part of downtown San Diego last week when I was home. Without question. You will be safe here. 24 hours a day. Additionally, just like the rest of Mexico, Playa is dirt cheap in American dollar terms. If you spend $25 dollars on dinner per person including drinks you are going balls out. At this moment the peso is 16 to 1 and I saw a rib eye steak at a fancy place advertised for 25 pesos. Cute boutique hotels are $60 a night. Yes, you can stay at luxury resorts here as well but if you look just a little you will find something really nice for $60 (I stay in private rooms in hostels and that costs me $25 a night). Lastly it’s cheap to fly here. There are flights to Cancun from just about everywhere in the US for just about the same price as a flight to any beach destination in the US depending on when you come. I’ve seen RT tickets for $300 from San Diego and LA and when you combine it with the savings that you get on the ground your totally vacation expense is way less expensive than going somewhere stateside. Lastly it’s really not too long of a flight. It’s 4 hours from LA. Now into the details of what you get when you come here! First of all you get GORGEOUS water – both fresh and salt. PDC is on the Carribean and the beaches are pure, white, fine sand. The water looks like it’s from a postcard and the beaches are kept very clean by the locals since tourism is their bread and butter – they know what people are looking for and keep it well maintained. In addition to the beaches are the Cenotes. 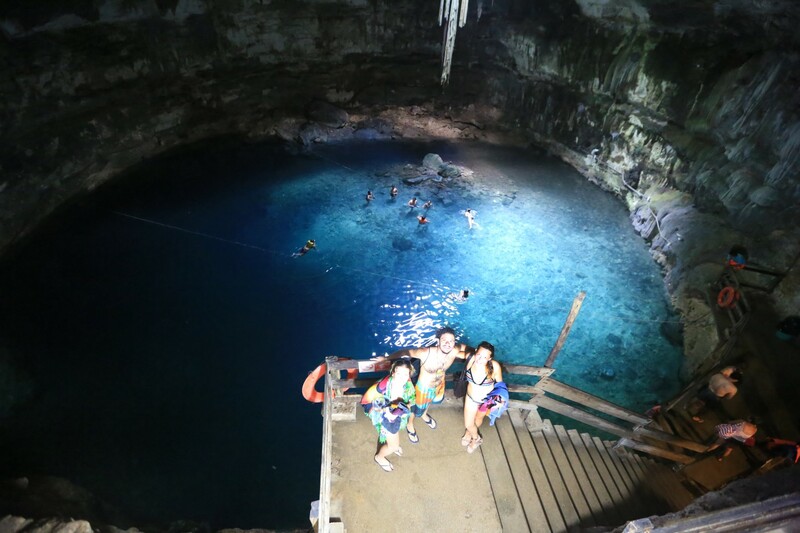 What is a Cenote you ask? Good question. A cenote is an opening into the massive underground aquifer which lies below the entire Yucatan peninsula (the location of PDC). Swim in a cave in clear blue water – Cenote! The entire peninsula is made of limestone and limestone is the foundation of the best cave systems in the world. 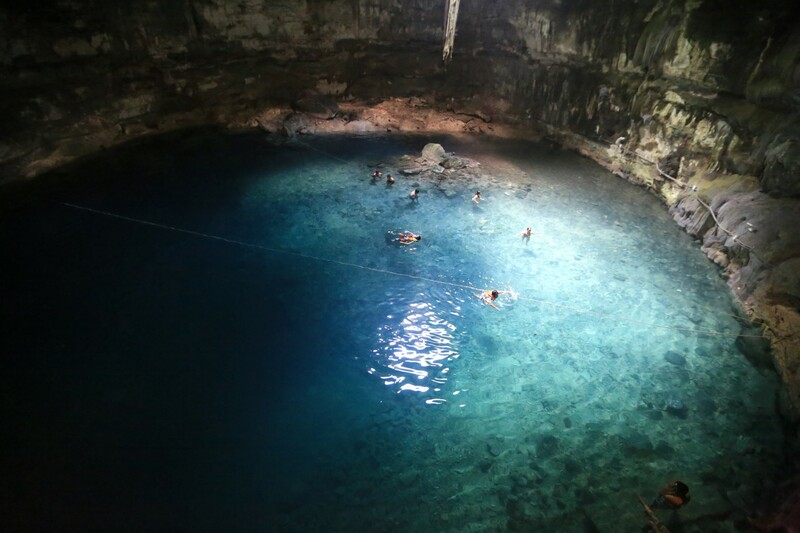 In the Yucatan this cave system is filled with beautiful clear water and there are entrances into water filled caves all throughout the region. The caves are maintained and set up with ladders and staircases for swimming, snorkeling and scuba diving. You will literally never experience something like this anywhere else in the world. The cenotes in my opinion are reason to go in and of themselves. But wait – there’s more! 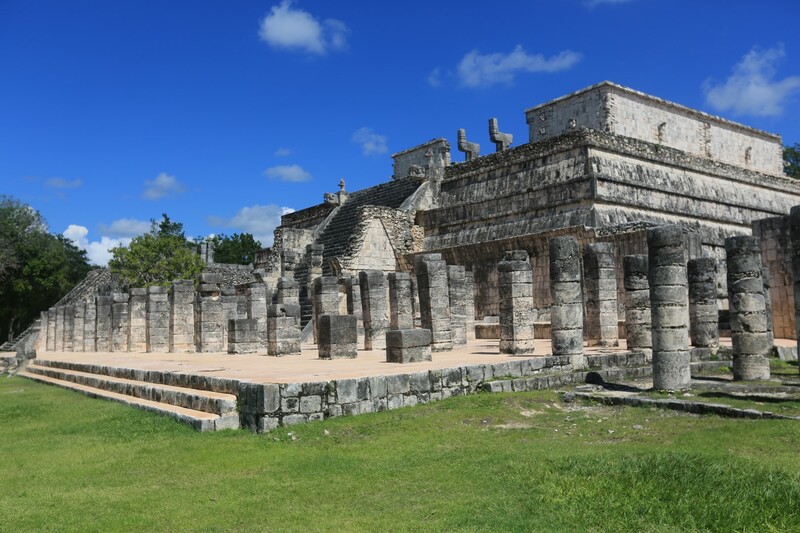 How about being able to transport yourself back to the ancient world of the Mayans? 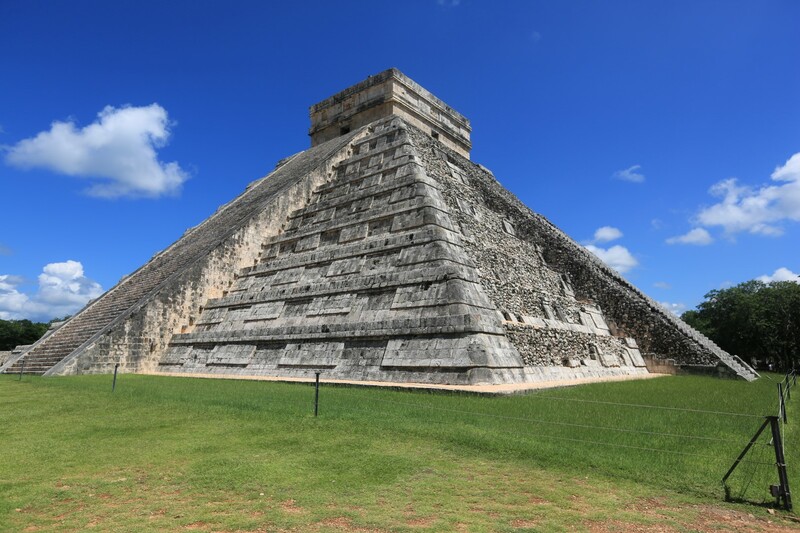 The amazing ruins of Chichenitza – one of the wonders of the world – is located less than two hours from PDC. The largest Mayan temple in the region. Rent a car for a day (for ridiculously cheap BTW – use Kayak and get a car for $4 a day w/o insurance if you are bold or pay $24 a day and get covered). Or, you can go with a tour bus if you aren’t comfortable driving. 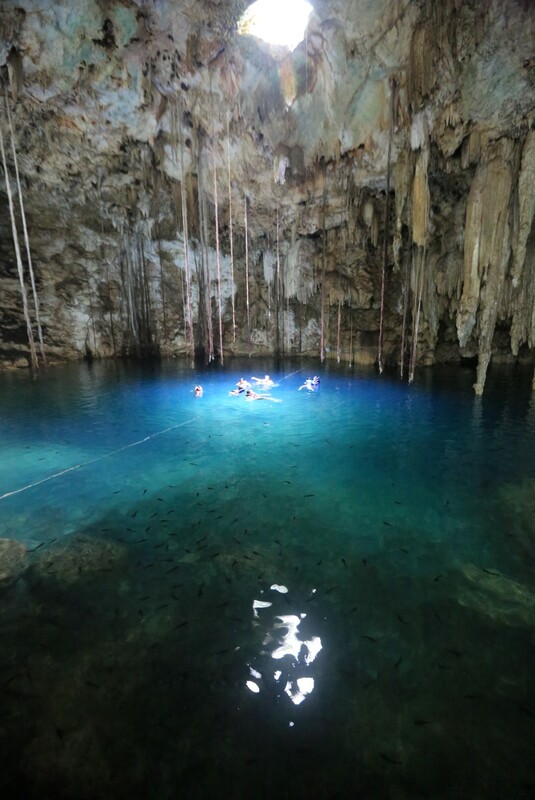 In addition on the way to Chichenitza you will find 7 more cenotes to get as much cave swimming as your heart desires. Back at Playa Del Carmen. 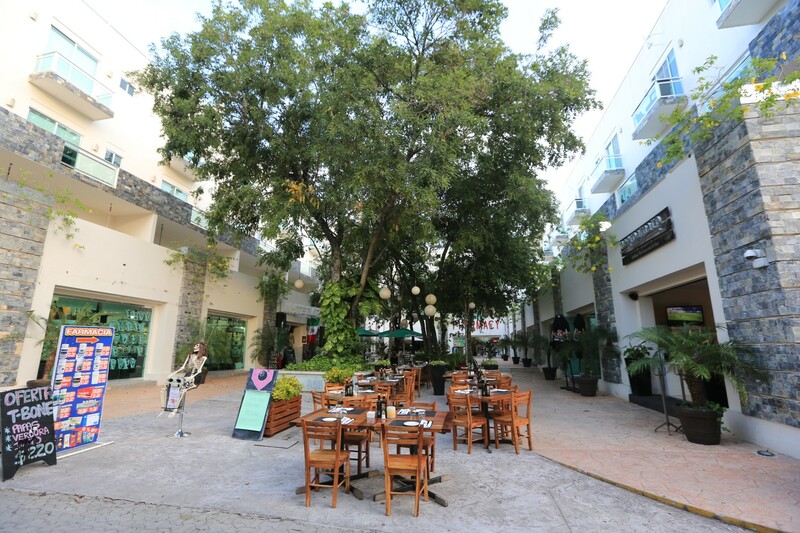 I love the main drag – Avenida 5. 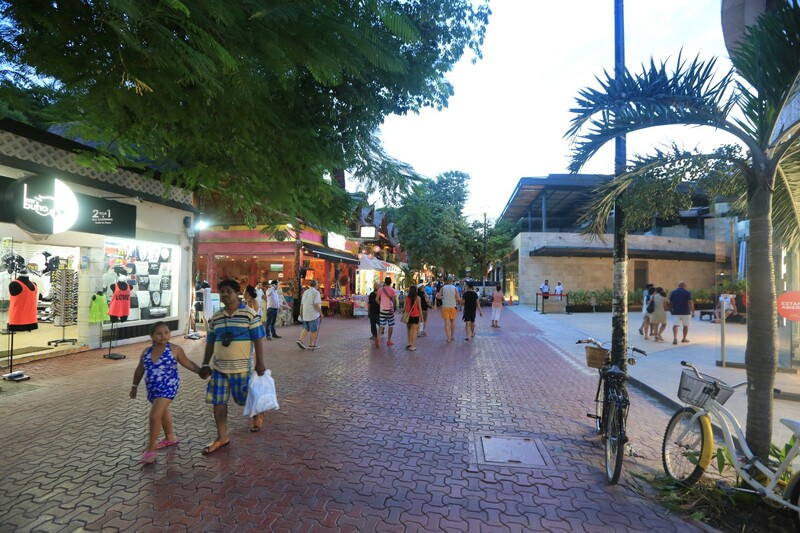 It’s a pedestrian only road lined with boutique hotels, hipster bars, cheesy souvenir shops, malls, trendy restaurants, cafes and so much more. It’s tree lined with tropical overgrowth and it’s lovely at just about any time of day. It’s a perfect place to relax and people watch or to shop til you drop. It feels sort of European in a certain way. Although parts of it are ridiculously cheesy with hawkers testing out there phrases on you (“Come see, cheaper than Walmart”) they are light hearted and should never be taken as offensive. It’s a place you can hang out, relax and people watch all day long. Of course it’s Mexico so there are bumping clubs into the wee hours of the morning as well if that is your thing. Of course these are all dirt cheap as well. Beautiful, fun, exciting, relaxing, cheap, safe, easy to get to and so much more. 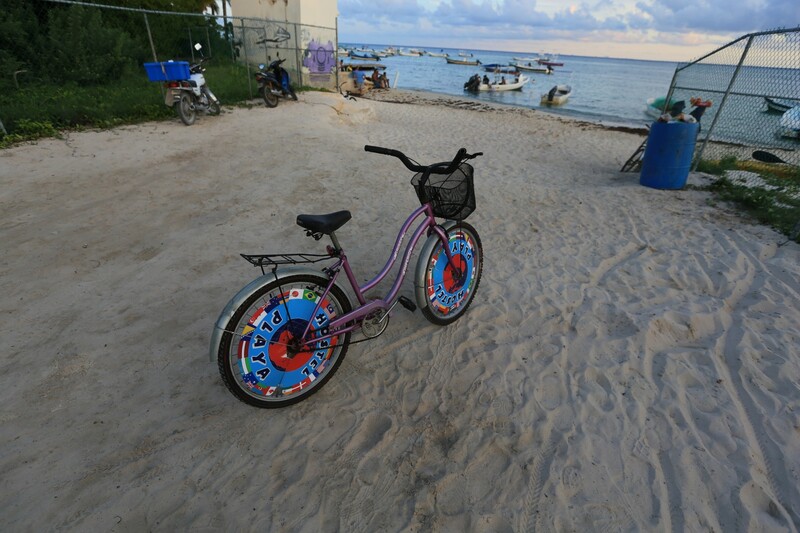 Playa Del Carmen is international travel 101. Until next time – headed to Belize for all new experiences! I went to PDC in 2002. It was so fun and we explored into some unexacavated Mayan ruins in Coba. Totally worth a visit if you go back. Of course that was 13 years ago and I heard a lot has changed from when I was there when it would have been considered a small town. But all the great things offered them are still there so I do plan to go back again soon. Have fun in Belize! Say high to all the fishes for me! 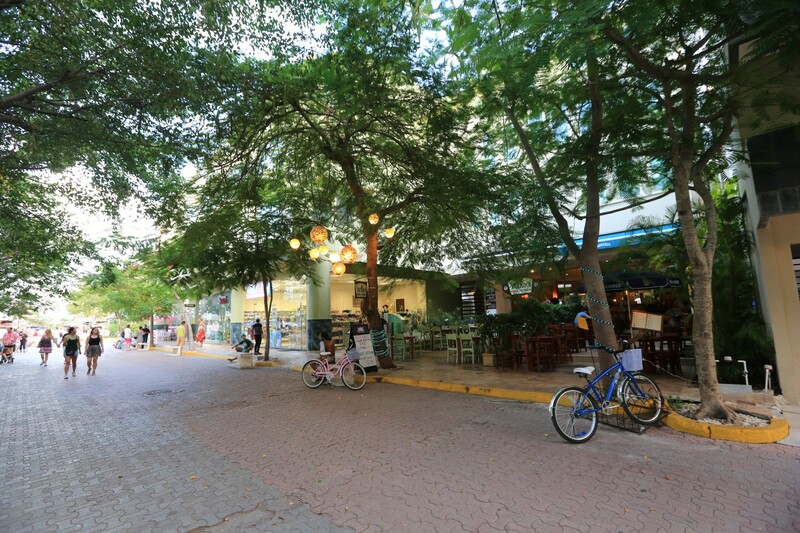 Jen – you should definitely go back to Playa if you have a chance – for me the growth has been really not out of control – yes, it’s got a couple of malls on the main strip but they are really nicely done and the amount of boutique hotels and restaurants at dirt prices with today’s peso is just amazing. I will for sure put your rec Belize zoo on the list – you know we love us some animals 🙂 thanks!!!!! !